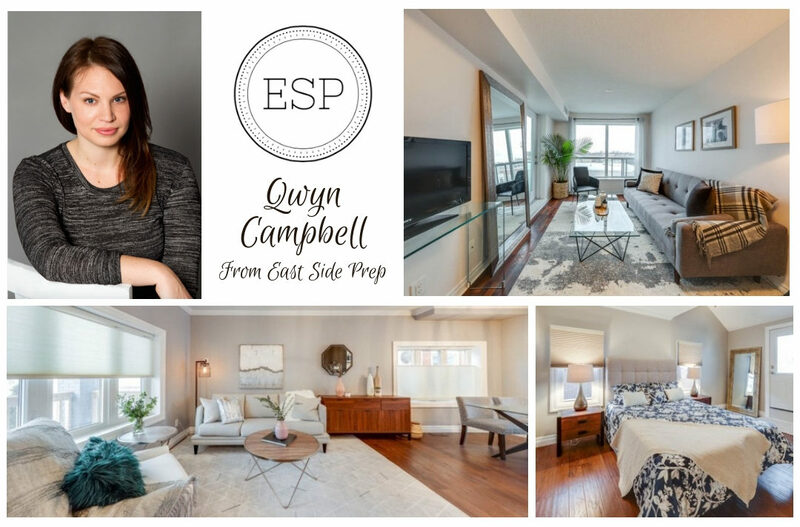 Qwyn Campbell started East Side Prep – a real estate staging and styling company based in Toronto’s east end – with a mission to offer something different to inner-city listings. When property searching herself, Qwyn noticed that a majority of condos and lofts for sale had a cookie-cutter look and saw an opportunity to inject her unique vision into the market. A mix of modern with vintage, neutral tones with colourful accents, and on-trend accessories is the signature E.S.P. style. Qwyn’s background in Window Display Design for fashion boutiques around the city paved the way for this fulfilling career in home staging and interior decorating. I was fortunate enough to start East Side Prep just over two years ago after a Real Estate Agent I was working with to sell my loft in Leslieville suggested this might be a good niche for me. 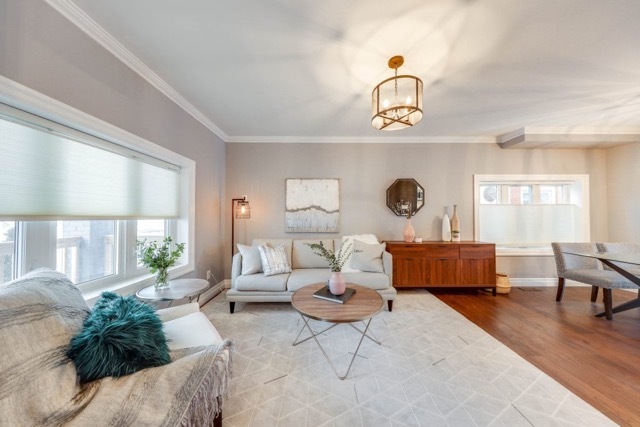 After seeing the transformation from how I regularly live vs setting up for sale – my agent encouraged me to start staging for her listings and from there I started working with other agents and gradually expanded to what it is today. 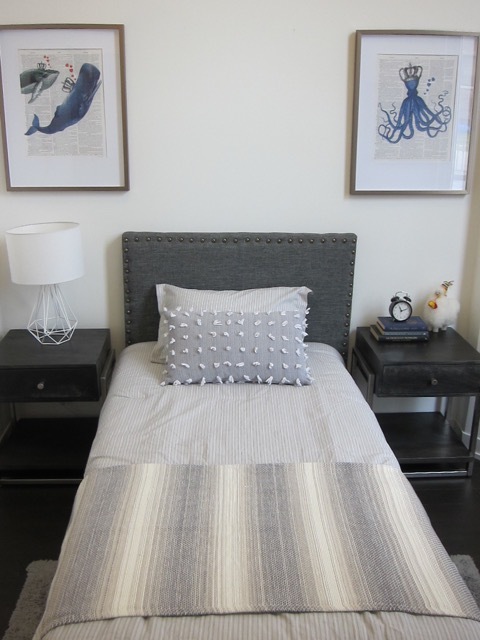 I was inspired to start staging after the gruelling process of finding a new place to live in Toronto. Each time I moved I noticed that at almost every showing, all I could focus on was what I would do different to help showcase the potential of the home. 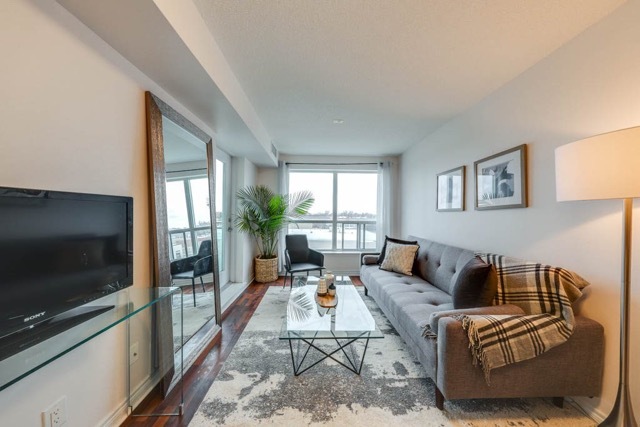 My favourite part of being a stager has to be the feeling of fulfillment that comes with having a client’s trust to see my vision for their home. 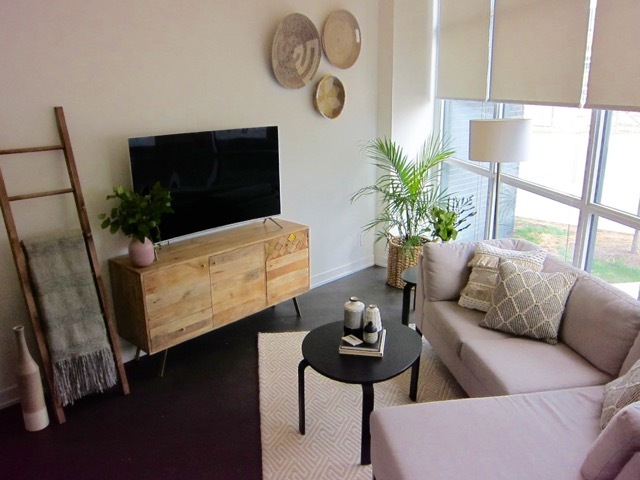 It is so rewarding to have a home owner come home at the end of staging day and see their reaction to the finished product! Apart from reading reviews, I would recommend looking for a stager who is versatile and knows how to appeal to the demographic of the area you selling to. There are so many to chose from! 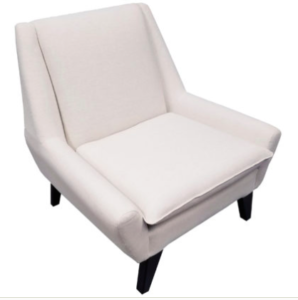 But I would have to say the Bridget Chair and Sofa. 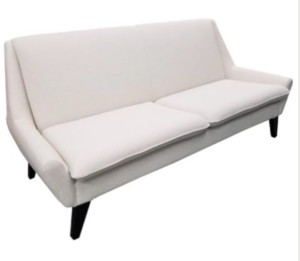 Don’t we all aspire to being able to live with white furniture one day?! I see two common mistakes that are really two sides of the same coin – either keeping too much in the home or taking away so much your home feels sparse and empty. Stagers help find a happy medium of making it feel warm and welcoming while also de-cluttering enough so potential buyers can see themselves in your home. 7. 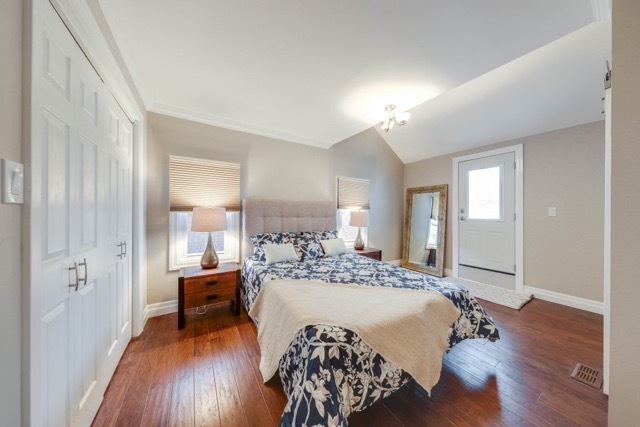 What is the best advice East Side Prep can give a new stager who has just entered the industry? The best advice I would give is to reach out to other stagers and build a network. I am so lucky to have met some really helpful and supportive stagers in Toronto who have helped to mentor me along the way. When I’m not working you will find me exploring the city with my dog, antiquing in small towns around Ontario, and cottaging in the Kawarthas!